Android phones and tablets are now exceedingly hot around the world. More and more people enjoy watching videos and movies on Android phones and tablets because of the high resolution of most Android devices. 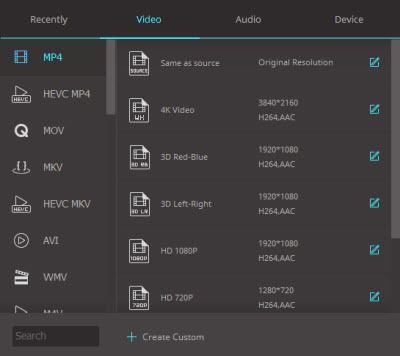 However, Android devices only support video formats like H.264 and MPEG-4. Generally speaking, AVI is not an Android friendly video format. To play AVI on Android, you'll need to convert AVI to Android compatible video formats first. To convert AVI videos for playing on Android phones or tablets, a video converter is a must. Aimersoft Video Converter Ultimate here is recommended as the best Android video converter to help convert AVI files to Android highly compatible MP4 videos. If you're using a Mac, just turn to Aimersoft Video Converter for Mac to convert AVI format to Android format on Mac OS X (Mountain Lion). Just get the right version below and play AVI videos on Android devices like Google Nexus 7, Asus Eee Pad Transformer Prime, Samsung Galaxy Tab 10.1, Asus Eee Pad Slider, Sony Tablet S, Toshiba AT200, Acer Iconia Tab A510, Motorola Xoom, Samsung Galaxy S3, HTC One X, LG Optimus G, Motorola Droid Razr Maxx, etc. smoothly. Note that the quick start guide below uses Video Converter for Windows (Including Windows 8) screenshots. The way to finish your task on Mac OS X is the same. Just get the right version and follow the intuitive interface to get it done. 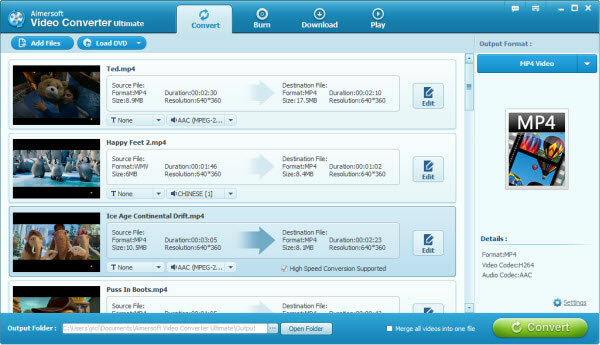 Run the program and click Add Files to add the AVI videos you want to convert. Or you can directly drag videos to the item bar. After the files are loaded, you can select audio track, subtitles, take snapshots, etc. as you like. Finally, click the big Convert button on the main interface to start converting AVI videos to Android supported MP4 and just wait for the process to get done. Bingo! That's it.